From politics to birds and planes, travel and adventure to high-end fashion, this year’s Super Stage line-up of the world’s leading photographers at The Photography Show, co-located with The Video Show (16-19 March, NEC) is unmissable. This year, you'll get the opportunity to see legends such as Martin Parr, Pete Souza, Lindsay Adler and award-winning wildlife cameraman and presenter Gordon Buchanan take to the stage to give insightful talks on their careers, what they’re inspired by, and how they approach their work. Hailing from the world of US politics, former Chief Official White House Photographer for President Obama and the Director of the White House photo office, Pete Souza will share excerpts from his career. He will delve into his award-winning photojournalism career; what it's like to document the inner workings of the most powerful office in the world, and the stories behind some of his most memorable images. Magnum Photos photographer, Martin Parr, will talk about his long career in photography, finishing with a look at his latest exhibition, Only Human, which opens on 7th March at the National Portrait Gallery, London. Moose Peterson has built a reputation as a wildlife photographer since 1981, with an outstanding portfolio. But more recently, he has discovered a passion for aviation photography. Moose will journey into the skies and introduce all things aviation photography; how he brings motion to still images, romance to pieces of steel and tells a story that grabs attention. Annie Griffiths will share her journey from a rural Minnesota newspaper to the pages of National Geographic Magazine and beyond. Fashion photographer, Lindsay Adler has been published in the industry’s most iconic titles, from Vogue, Harper’s Bazaar and Marie Claire to Elle Magazine. She will discuss how she maintains her creative edge whilst finding inspiration for her most memorable images. Photographer, filmmaker and Instagram legend Chris Burkard has spent over a decade of his career travelling to some of the most remote parts of the globe, seeking out some of the last wild places. He will share some of his greatest lessons he has gained from behind the lens, from being thrown in a Russian jail cell to swimming in near-freezing water. Gordon Buchanan, highly-acclaimed television wildlife cameraman and presenter, will share his recollections of weird and wonderful wildlife, accumulated over his career of globetrotting. More than 25 years of experience has seen him pit his skills in the most challenging and dangerous of environments, achieving visual feasts that have contributed to some of the UK’s best-loved natural world programmes. Tickets for the Super Stage sell out quickly, so make sure you book your space at your chosen sessions today. Tickets cost £12 per session and will be hosted at the Toute Suite. The Photography Show runs from 16-19 Match and will – for the first time – run alongside the inaugural The Video Show which has been created to inspire a growing community of video-makers. The two shows (accessible with one ticket) will encompass all the latest kit and insights that any aspiring or established photographer or filmmaker could wish for. Attracting thousands of photography enthusiasts and professionals every year, the event is unmissable for anyone passionate about photography and moving image. The Photography Show and The Video Show are run by Future plc, which also publishes T3. 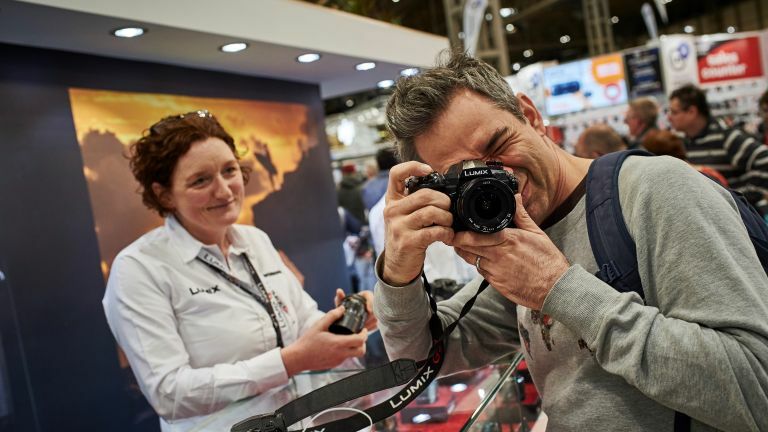 To get 20% off your ticket to The Photography Show (which also gets you into The Video Show), simply enter the voucher code FAMTPS19 at the checkout. That will bring the price of an adult ticket from £14.95 to £11.96. Tickets for children, students and over 60s are priced at £11.95 each and aren't eligible for the code. Children aged 11 and under can attend with an adult for free. Once you buy a ticket, it can then be used once for any day of the event and you don't have to decide which day when booking. Please note, this code applies to new bookings only.